When Caryl Phillips was 14 he came top of the year in geography; first out of 120. The geography teacher was also responsible for careers advice. Not long afterwards Phillips was called for the usual interview about his future. He still remembers the occasion. "Phillips," the teacher said, "you'll be leaving school next year. We'll try and get you an apprenticeship." Thirty-five years later, the author of 11 books of fiction and non-fiction and currently professor of English at Yale, Phillips is philosophical. "I'm going to be generous and say he wasn't really bigoted, just stupid. But it doesn't really matter. He wasn't seeing me." If Phillips's teacher failed to find an individual behind the "figment of pigment", he was not the only one. Phillips's work is about the struggle of individuals to break out of the roles in which society has cast them. He writes mainly about black British people, but the problem is existential. "Race seems important to me," he wrote in the introduction to Extravagant Strangers, an anthology of work by British writers born outside Britain, "only insofar as one has to acknowledge that being visibly the 'other' will only serve to intensify the feeling of being outside." A Distant Shore (2003) placed the alienation of a young male African refugee beside that of a middle-aged Yorkshire-born white woman. His new book, Foreigners, is billed as "Three English Lives"; two of the men discussed were not born in England but all lived and died there. It begins with Francis Barber, Dr Johnson's servant and beloved companion, who came from Jamaica, flourished as "London Frank" but ended up destitute in Lichfield. It concludes with the shocking tale of David Oluwale, who was born in Nigeria and found notoriety as the first homeless black person in Leeds. Repeatedly brutalised by two police officers, he was finally dragged dead from the River Aire in 1969. In the middle is the middleweight boxer Randolph Turpin who, after defeating Sugar Ray Robinson, became, "for one night, in July 1951, the most famous man in England". Turpin was born in Leamington Spa, where his British Guiana-born father was sent to convalesce after the First World War, but his life as a boxer began in a Welsh training camp. The essay is called "Made in Wales". Like the people he writes about, Phillips has lived an itinerant life. Born in St Kitts, he was brought to Britain by his parents when he was three months old. He grew up in Leeds, studied English at Oxford, lived briefly in Edinburgh and then moved to London, where he began writing plays and then novels. His first novel, The Final Passage (1985), told the story of a migration from the Caribbean to England and the second, A State of Independence (1986), that of a reverse journey. They were well received, but Phillips felt overwhelmed by a critical response that set him up as "the black writer", and then told him exactly what the role entailed. "When are you going to write the Brixton novel?" was the refrain. He had become visible, but it brought a new kind of estrangement. He felt "very exposed". Phillips eventually settled in New York, where he still lives. "I needed to be somewhere where no one would bother me, where I could grow, mature, find a voice". But even in New York, they make assumptions. Phillips sometimes writes about America, and so an extract from his 1993 novel Crossing the River appears in The Norton Anthology of African American Literature. "It doesn't make any sense to me," he says, "I'm not African-American." As a student, the work of Americans such as Ralph Ellison, Richard Wright and James Baldwin helped him to think about "what it meant to be black in an urban society", but today Phillips locates himself in a British tradition. "The things that made me want to be a writer come very, very specifically from growing up in this country." Moving to New York was not about "rejecting Britain". "I didn't want to stop thinking about it, I didn't want to stop writing about it." 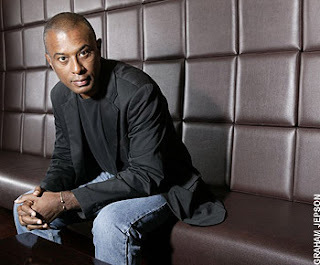 Phillips thinks that all his books are in some way about Britain, even Dancing in the Dark (2005), which was set mainly in New York in the early 20th century and told the story of the musical star Bert Williams. "It feels to me about growing up here, about performing your identity, about Mrs Thatcher having to have elocution lessons and change her accent, about those anxieties of belonging that I felt here."